Claycomo, Kansas City, Iowa, Nebraska, Kansas, Oklahoma Area! The big three for English Labradors, are how they look, do they retrieve, and do they also make a great pet? Best Lab Breeders in Missouri. English Labrador Puppies. Chocolate Labs. We test for at least 7 main Labrador diseases through panel testing. We also test for Hips and Elbows when they are of age! Best Lab Breeders in Missouri. English Labrador Puppies. Chocolate Labs. We believe that English Labradors have both the temperment to do well in teh field, as pets, and they look amazing as well. We make sure that we are using breeding dogs that exemplify the breed as a whole and will make a great next family member! Best Lab Breeders in Missouri. English Labrador Puppies. Chocolate Labs. We have a facebook Group that we send all of our customers to so that they can share updates of their puppies as they grow up. We love to stay in touch with our puppy families, and make sure these puppies grow up into wonderful loving homes. We generally will take puppies back if there is a problem in keeping them due to moving, or change of life situations. To connect to our FB group request to join it here! When I came to faith in Christ I had just spent some considerable time in Mexico and Niceragua. 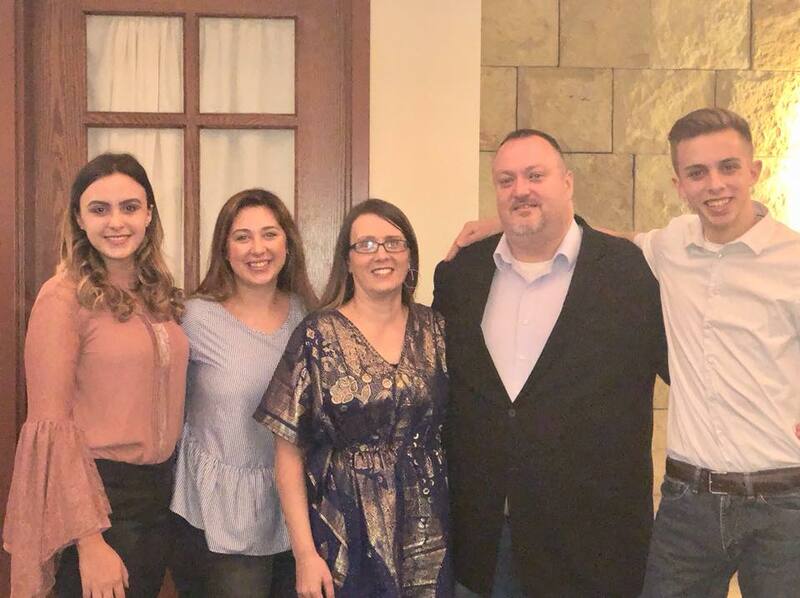 My life was forever changed with an encounter in Costa Rica, from my eyes being opened to just how disgusting and sinful of a human being I was in reality. Through this eye opening time, I eventual came to real saving faith in Jesus Christ, as he called me to come back home, much like in the story of the prodigal son. I hurt and dissapointed so many people, I was chasing the world, the things of the world, but God granted me a second chance to life. I began to read the book of John, and the book of James, and with my eyes newly opened to the realness of Jesus Christ, I began to grow in faith. This slow growing of faith has not been without my many failings, I don’t do things perfectly, but now i know Christ is walking with me. We do all we do, with Christ in mind, imperfectly yes but our intent is to tell as many people as we can about the Good News of Jesus Christ. We started raising Labradors in 2008 on a whim, we went out and picked up our first yellow Labrador. We take pride in producing great dogs well suited for loyal family companions, to English conformation Champions, to waterfowl, upland and hunting Labradors. We believe our dogs have the tools and drive to become anything they can be in the fields to trials to show dogs. We also produce well mannered companion dogs for use as therapy dogs. We, as a breeder, strive to start our litters the best possible way by spending hours socializing, in basic training and monitoring strict diets and nutrition for healthy growth. We feel if you do this at a very young age of pup, it will pay off in the future and will create a long, healthy, productive life. so if you are looking for the best quality dog for your investment, you have picked the right place! I have been married to my wife Brandy for nearly 20 years, and we have 3 beautiful children that are nearly grown. One recently completed nusring school, another in college studying prelaw ‘stuff’ and a son finishing up highschool. I’m an IT guy by trade and my wife works as an office manager. We are tucked away in a small village on the north side of Kansas City called Claycomo, only known for being the home of the “Kansas City” Ford plant. We own an acre and a half or so, just enough to have fun and raise a litter or two each year. For years I have had my children who socialized my pups but as they are in their late teens I have to recruit neices and nephews! Overall it’s a blast doing it and we look forward to sharing our home and our love of Labradors with others and watching them grou up. You truly do get what you pay for. The $500 dog will typically come from a backyard breeder that does no health testing and provides the bare minimum of care for their puppies and will generally sell their puppies to anyone that shows up with the cash. These are the dogs that typically end up in shelters, looking for new homes or on death row. These are the true “Greeders” of the breeding world that have no regard to the health of the animals they are breeding and the puppies they are producing. They are legitimately breeding for money. Click Here to Read the rest of the page . . .. .
Who are your primary customers ? Our primary customers are the average pet owner who wants a sound labrador, who loves the look of an English Labrador that still retrieves, and maintains a calm temperment at night when they come in from a good day of exercise. Best Lab Breeders in Missouri. English Labrador Puppies. Chocolate Labs. How often do you have litters? We generally have litters only once or twice a year. On a rare occasion we will have three litters in a year. What is our Guardian Discount Program? Ask about our guardian program, we do sometimes give further discounts if you live within an hour of Kansas City and will allow us to maintain the papers with us, and allow us to use normally a male in tact to use for future breeding purposes. The pups go home with you, they are your pet, we pay for testing for them, and when they are of age, they come and stay a week or two a couple times a year with us to breed to some of our females. — Ask us about the Guardian Program for more information. Click Here for a little more information, but feel free to send us an email on the Contact page, or send a text. I have known Jason for a couple of years now. A very honest man and great to do business with! Jason really knows a lot about Labrador Retriever’s and their bloodlines. We bred our female Yellow Lab with one of his Black Male Labs, (Tripp) 3 years ago and we kept one of them and named her Michonne. She turned out to be an awesome dog! 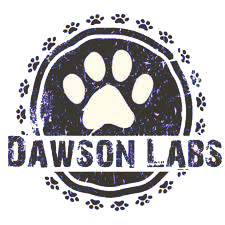 I highly recommend Dawson’s Labs!! Also, if you want to breed and he doesn’t have what you are looking for, he will go out of his way to help you find a breeder! Four plus years ago I purchased a furbaby from Dawson Labs. I live States away so our furbaby was flown in. Unfortunately that day we had a snowstorm, flights delayed/rerouted for more than 12 hours. Jason kept in contact with me all day and night long. I had purchased two furbabies for my husband and had one coming in from another breeder (Dawson at that time did not have a Champagne available) No contact, No Care, that breeder had no idea the furbaby I purchased from them was stuck at an airport. Never have heard from them. Four plus years later, Jason still cares about Gabe!!! Excellence, one word for Dawson Labs and Jason! 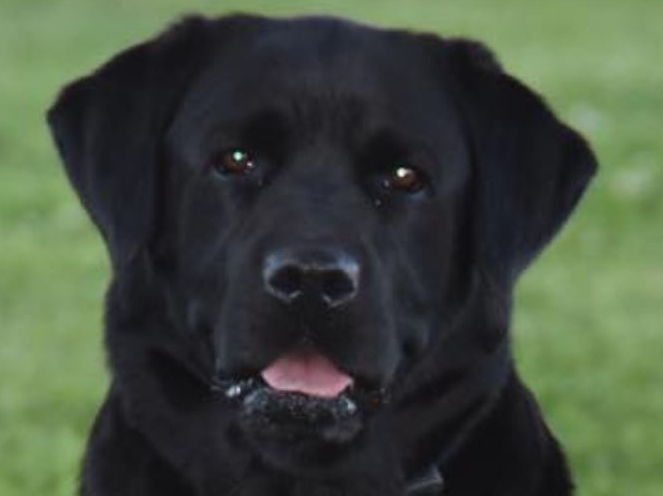 We purchased our black English Labrador Smoke from Dawson Labs in 2016. She is everything I wanted in a Labrador. They even helped us arrange transportation from MO to Ohio. She is a healthy, loving little girl. We are very happy with all the health testing they do on their dogs. If you are interested in finding an excellent Labrador in the State of Missouri look no further!